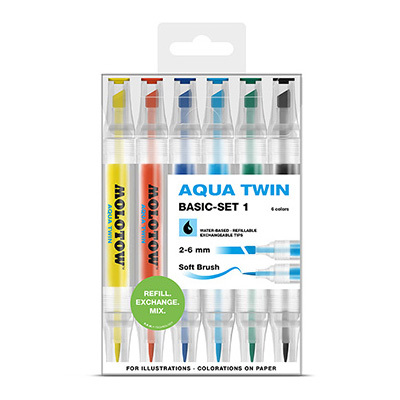 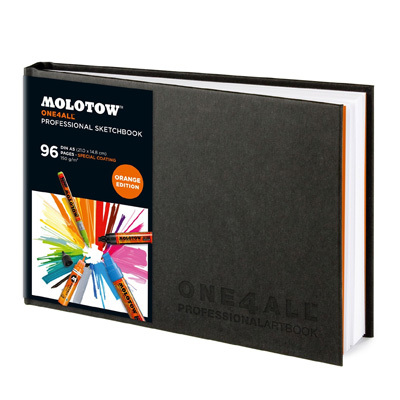 The high quality ONE4ALL Professional Sketchbook from MOLOTOW with 96 sheets is specially developed for alcohol, water and acrylic markers and comes with professional quality fine art paper (150 g/m²). 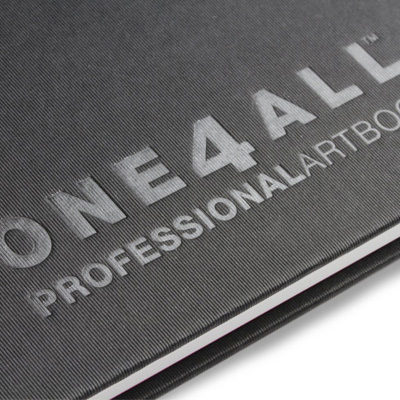 The artbook has an embossed One4All logo on the hardcover binding, orange endpapers and a black picking belt. 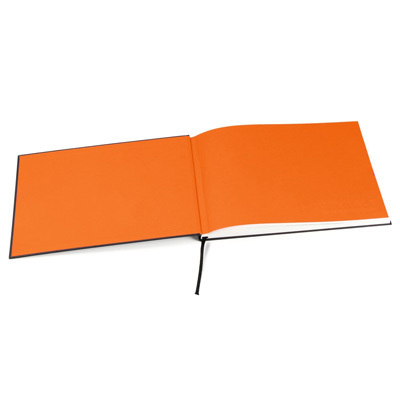 The blackbook's measurements are 21,0 cm x 14,8 cm (A5 landscape). 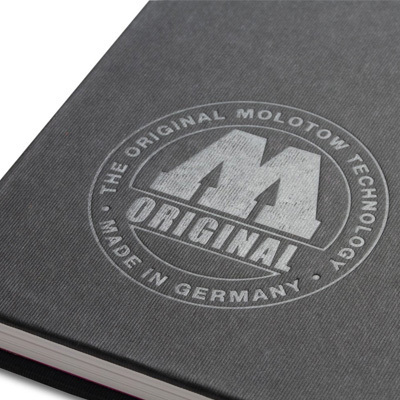 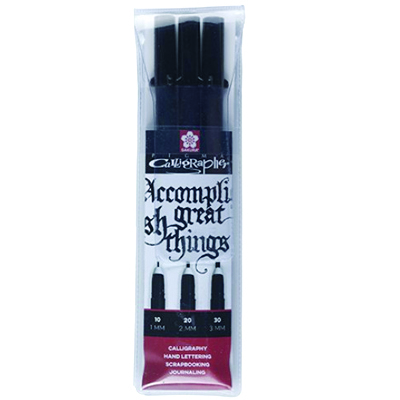 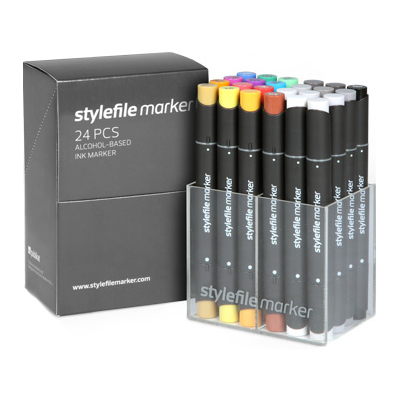 The paper’s special coating ensures sharp edges and not only prevents the “bleeding” through but also the bleeding out of the color – so the back side of the paper can even be used and even spray cans can be used here. 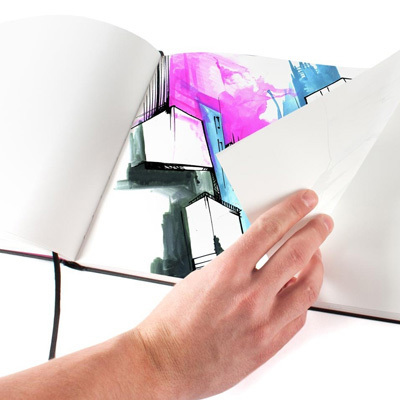 96 pages, 150g/m² Professional Fine Art Paper, A5 landscape, made in Germany.